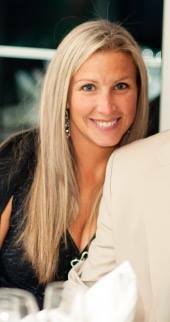 Meredith is a life long advocate of holistic healthcare and devoted to a wholesome lifestyle. Following a BA in Psychology from RI College, Meredith pursued therapeutic massage and graduated from Dovestar Holistic Technology Institute in 2001 and opened her business Essential Bodywork. Meredith is skilled in a number of healing modalities and particularly enjoys deep tissue and neuromuscular work. Meredith is proficient Myoskeletal Alignment Techniques from the Freedom of Pain Institute and is also a Level II Reiki practitioner. Meredith trained with Dr. Jennifer Mercier in the Fall of 2014 to achieve the professional distinction of Certified Mercier Therapist. Meredith's utmost priority is to listen, emotionally support and address the physical needs of the client in a friendly, peaceful and professional atmosphere. Improving the quality of one's life through the wonderful benefits of therapeutic touch is Meredith's highest intention. Meredith is particularly passionate about Fertility Health and guiding women and couples to a successful conception after her own challenging journey to a healthy pregnancy. Meredith is currently pursuing her certification as a Nutritional Therapy Practitioner through the Nutritional Therapy Association and continues to study Functional and Herbal Medicine. Additionally, Meredith has competed as a NPC figure athlete, is enthusiastic about conscious living, heated power yoga, avid reading and a proud Mom of two lively boys.